Community Health Systems' net loss from continuing operations widened to $108 million on revenue of $3.67 billion in the third quarter from $77 million on revenue of $4.38 billion over the same period last year as they coped with hurricanes Harvey and Irma and continued to endure fewer admissions as well as mounting bad debt related to high-deductible health plans, executives said in an earnings report issued Thursday. The for-profit hospital chain posted another disappointing quarter of financial results as its earnings before interest, taxes, depreciation and amortization fell 28.8% from the year-earlier quarter. Franklin, Tenn.-based CHS wrote down the value of some of the hospitals it has slated for sale by $33 million, while the company estimated that hurricanes reduced net operating revenue by about $40 million. It reported a 14.8% decrease in total admissions, which has been an ongoing trend exacerbated by the devastating storms. The lower volumes and higher expenses incurred following the hurricanes could linger in the fourth quarter, executives said. On a same-store basis, both admissions and adjusted admissions decreased 2.3%. Executives hoped that trajectory would change. Service line enhancements around ambulatory facilities, a new accountable care organization that aims to bolster physician practice development, building behavioral health and post-acute services, and a call center program to better manage referrals are poised to improve admissions and boost physician recruitment, which will help put the organization on a better track, said Tim Hingtgen, CHS president and chief operating officer. "We are strategically investing in our strongest markets," he said Friday on a conference call with analysts. The CMS' decision to cut 340B drug payments by $1.6 billion, or 22.5% less than the average sales price, will also benefit CHS, CEO Wayne Smith said. 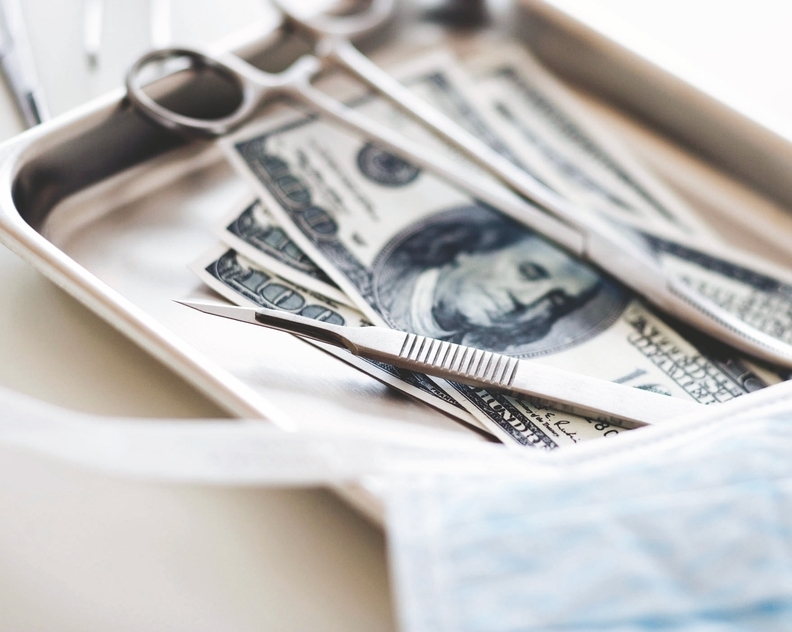 While critics worry that the move puts safety-net providers at risk, CMS would have to redistribute the pay cut savings by raising non-drug pay rates to hospitals, which would aid for-profit hospitals that don't qualify for the program, analysts said. Alongside the earnings report, CHS announced that it completed the sale of 126-bed Highlands Regional Medical Center in Sebring, Fla., to HCA Healthcare subsidiaries as well as the sale of 181-bed Merit Health Northwest Mississippi in Clarksdale to Curae Health. The deals rounded out the initial group of 30 hospitals that CHS sold that are expected to net $2 billion to predominantly pay down its debt. Executives said in August that they planned to sell additional hospitals worth $1.5 billion in revenue. It reduced its debt to $13.9 billion, down from $14.8 billion in the prior quarter. But analysts were skeptical that the organization could raise enough cash through asset sales to address its 2019 maturities. The third-quarter miss, lowering guidance and next round of asset sales suggest that 2018 EBITDA could be $1.4 billion or even less and its debt-to-EBITDA ratio could be "well north" of 8 times, even with another $1.2 billion of proceeds from divestitures, Mizuho wrote in a note to clients. Cash flow from operations fell to $114 million from $178 million in the same 2016 period, while adjusted EBITDA for the three-month period was $331 million compared with $465 million for the same period in 2016. Analysts on the call brought up the potential threat of former CEO of Community Health Systems' eight Fort Wayne, Ind., hospitals, Brian Bauer, who is helping create Indiana University Health's new primary care practice in the area. The primary care office, slated to open in the first quarter of 2018, will be staffed initially by 15 doctors with potential to expand. But Smith said that he doesn't expect IU's presence to have a material impact. "There is a lot of distraction in market, but we fully intend to protect our assets, our reputation and joint venture partners partners in their investments going forward," said Smith, adding that CHS is hiring more physicians, has a stable workforce and is "doing all the right things" in Fort Wayne. CHS' stock price fell more than 13% from $5.44 to $4.70 a share following the earnings report. Last week, CHS said Michael Portacci, president of the CHS division with hospitals in Alaska, Arizona, Arkansas, Louisiana, Missouri, New Mexico and Texas, will retire on Dec. 1. He joined the company in 1988 as a hospital CEO, and was a key member of the integration team in the acquisitions of Triad Hospitals and Health Management Associates, according to a release.